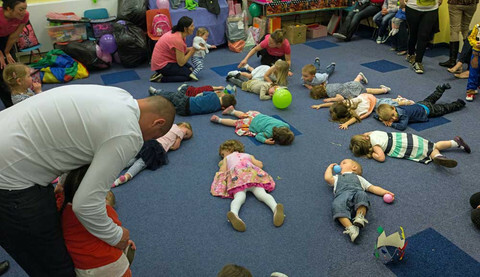 The joy of children’s parties reaches fever pitch at around age 5, but most party games can be adapted to suit toddlers and older children. Throw in a little imagination and even the most classic party games can be adapted to suit your child’s party theme, number of children present, and ages. 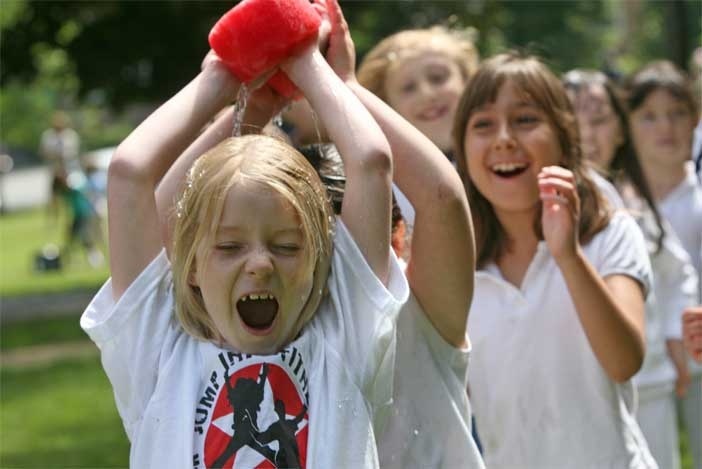 Here are the Sitters 14 Best Party Games for Kids. Starting with an old classic, this one actually works best in the middle of the party, perhaps when you’re hoping for stationary kids whilst the grown-ups lay the table. 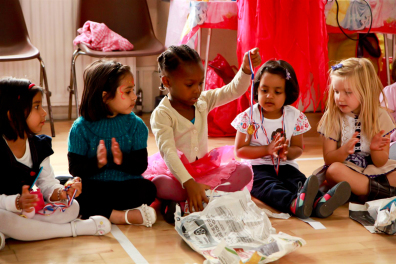 The beauty of pass the parcel is it is familiar, easily learned by the smallest party guests, and keeps rapt attention. Make sure every layer has a sweet or treat, and for older kids consider popping in some amusing forfeits too. Don’t forget to keep a track of who’s had a turn. Best if you’ve got a little space, Duck, Duck, Goose can be interpreted to pretty much any theme you’ve got. Imagine Woody, Woody, Buzz for Toy Story fans, or Elsa, Elsa, Anna for a Frozen themed affair, or Marshall, Marshall, Chase for a currently popular Paw Patrol Party. Seat the children in a nicely spaced circle and follow the rules here. This game is popular for children from 2 to 12, so a huge hit. Suitable for ages 5 and up, this game causes excitement ricocheting off the scale! Children sit around a board with an unwrapped large bar of chocolate. They then take turns rolling a dice until someone rolls 6. As soon as a child rolls 6 then have to don hat, scarf, gloves, and begin cutting and eating the chocolate using a knife and fork. The other children continue rolling the dice, and the moment another child rolls 6 the previous ‘eater’ must stop, and it’s the new child’s turn to dress up and continue. 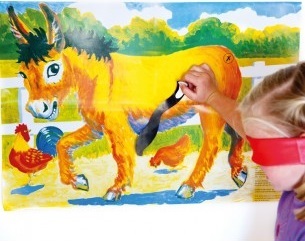 Another party game that can be adapted to suit your theme is the old classic ‘Pin the Tail on the Donkey’. You can Pin the Nose on Olaf, Pin the Star on Captain America’s Shield, or Pin the Scar on Harry Potter. Simply make sure you are armed with a blindfold (Dad’s tie works well). If excitement is getting a little out of control, and there’s more frantic crowd control than fun, then it might be time for a round or two of Sleeping Lions. Watch as your herd of marauding elephants, a.k.a. party guests, transform in to motionless silent cute slumberers. The aim of the game is to remain motionless even with the adult walking around, and perhaps telling jokes. Anyone who itches, wriggles or giggles is out – reward with a sweet. Winner is the one who stays still the longest. 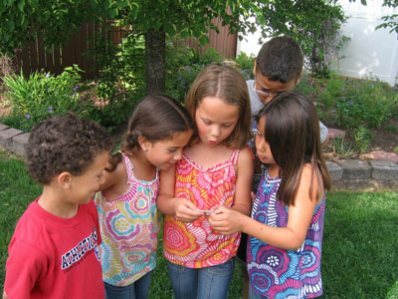 Treasure Hunts capture the imagination of children from preschool age and up. Before children can read, use picture clues. Once they are capable of reading you may find it a good idea to colour code clues so each child gets a chance as ‘reader’. Working as a team, the children can track down the treasure, and be rewarded for their efforts. 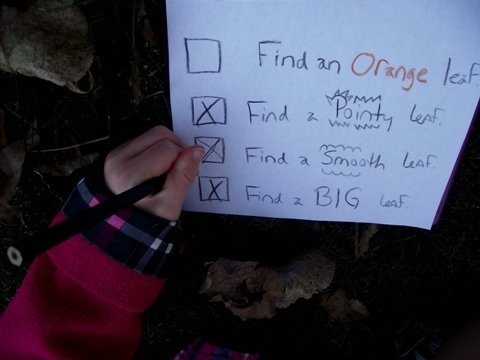 Sticking to the Hunting theme, another popular party game with children of varied ages is a Scavenger Hunt. 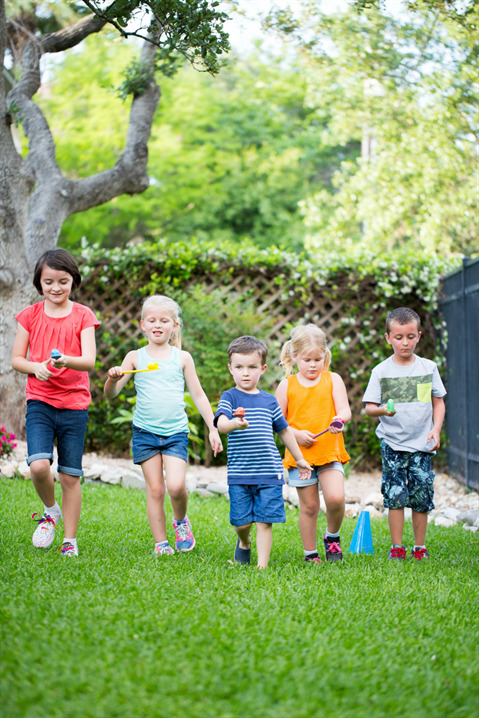 Whether you’re inside or outside, prepare a pictorial list of things to collect, and let the kids go wild as they race to find everything on their list. Nature hunts can include anything from a blade of grass to a pebble, and indoor hunts might include a sock and a piece of Lego. Once more, bring your theme together by changing the name to suit, such as Hulk’s Smash, Dinosaur Stomp, or Fairy Godmother. Check out the rules and have fun. This has to be one of the oldest party games around, and it’s still going strong. 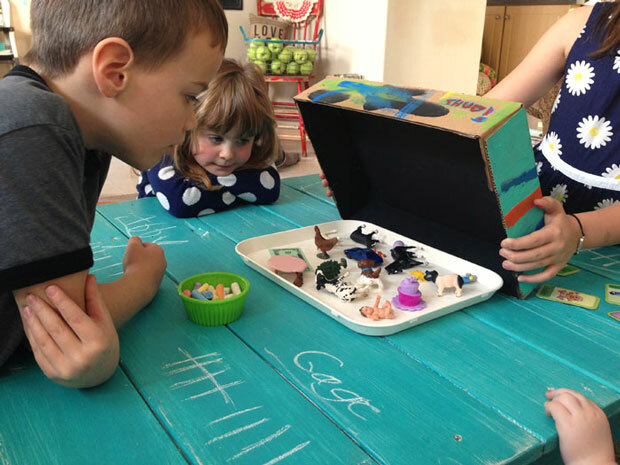 Lay a tray with an eclectic mix of objects from toy figures to random items like sticky tape or a spoon. Cover the tray with a tea towel. Allow the children a minute or two to look at the tray (no touching allowed!) before covering it back up. The children quickly write down everything they can remember from the tray (for younger children use older ones as scribes). The one who remembers the most items is the winner. Make sure you’re armed with a packet of wipes for cleaning up sticky faces! Hang ring doughnuts on strings spread out across another string. Children must attempt to eat as much of the doughnut as they can without it falling – the challenge however is that no hands are allowed! They must be behind their backs! 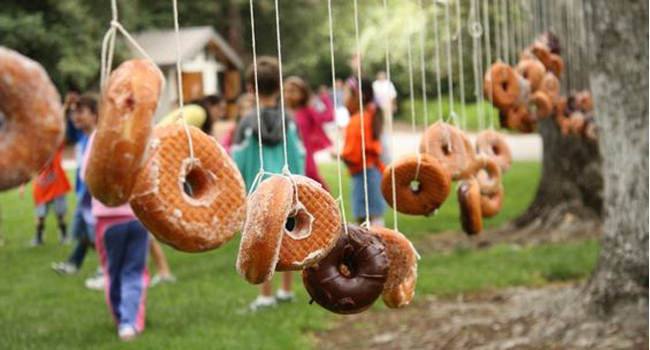 Make sure you have spare doughnuts on hands for disappointed children who haven’t yet realized how gravity works! 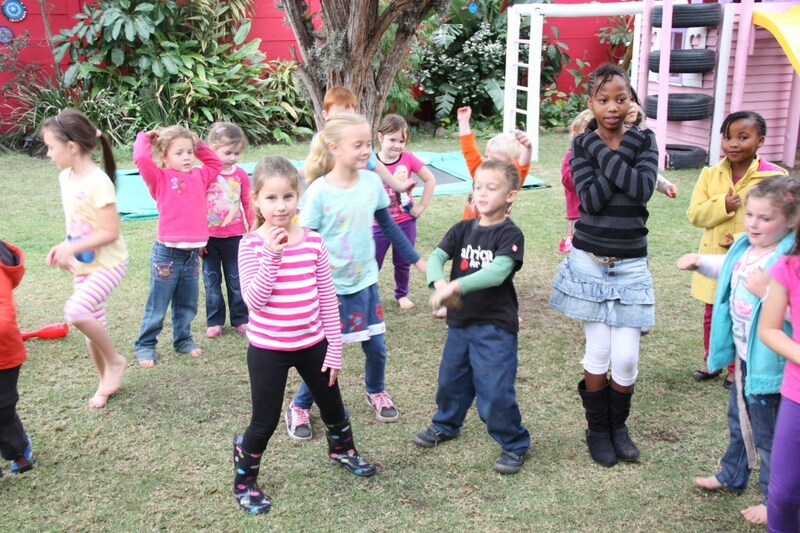 Another great game for burning off some excess sugar and excitement is Musical Statues. Get the kids boogying to their favourite party tunes, and when the music stops they must freeze. We find this game works best if you keep everyone ‘in’ but give the best pose-holders a sticker. This stops children wandering off away from the main party happenings. The children with the most stickers at the end get a prize. There are a number of variables in this game, allowing you to adapt it to suit your party goers. Obviously perfect for pirate parties, it can be enjoyed at all parties, and is a great ice breaker and time filler for the first ten minutes of a party whilst you’re waiting for all the guests to arrive. 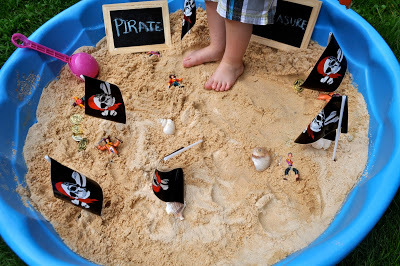 The version we like best is to bury lots of ‘treasure’ such as wrapped sweets and little toys in a sand tray. Children are then given a flag pick which they can put where they think the treasure is. Once everyone has had a turn it’s time to see which treasure is closest to which flag. Split your party guests in to teams of approximately 4-8 each. 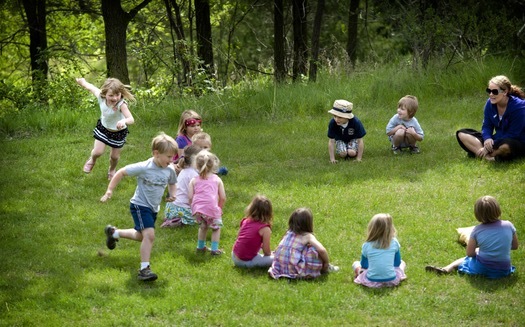 Each team lines up with the front child holding a ball or balloon. On ‘go’ the children must pass the ball, alternately, backwards over their heads and between legs until it reaches the last in the line. This child then dashes around to the front to repeat the process. This continues until the original front child is back at the beginning when the whole team sits down. The winning team is the first to sit down. Traditionally thought of for Easter, but suitable all year around, is the highly popular egg and spoon race. For little ones make it easier by giving them a little blob of blu-tac to keep the egg in place, for older ones consider adding in some obstacles! So, choose your favourite party games from the above popular selection, make a few adaptations for your child’s theme, and away you go. Make sure you have plenty of little sweets and prizes to hand, and you’ll have thrown the best party of the year and be able to capture lots of happy smiles and memories on camera.